exhibition in the New Budapest Gallery. Our exhibition would like to call attention to the indispensable economic roles and the valuable social roles played by collectors of contemporary art in Hungary.• From an economic perspective, the use of private capital to create and build collections – in the case of contemporary works – emerges as a demand that inspires supply; from the perspective of the collector, it may prove a prudent investment or an undertaking with a risky outcome (either remunerative only in the long-term or, in a bad case scenario, never). From the perspective of society as a whole, collectors and collections that are accessible to the public play a conducive role in stimulating the creation, selection and preservation of cultural-artistic products and also help further familiarization with and recognition of these works.The motif of personal involvement, so often emphasized by collectors, also has a social implication: namely, it draws attention to the passionate interest in works of art and the acquaintances and often friendships that come into being between artists and collectors. The activity of the collectors is inseparable from the work of art institutions. The current exhibition at the New Budapest Gallery is an example of collaboration between these two complementary domains. 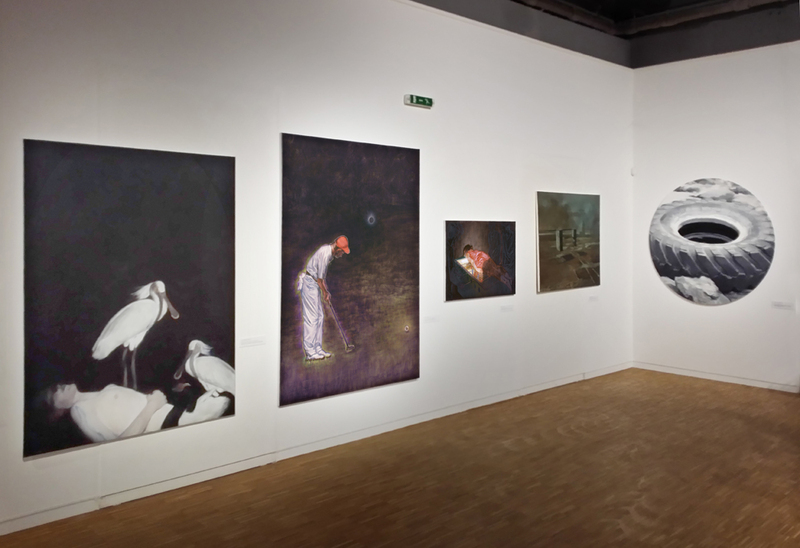 The works selected for this exhibition by colleagues of the Budapest Gallery – created strictly during the period between 2010 and 2014 – provide a snapshot of the acquisitions of contemporary works by collectors in Hungary. For the visitor, this snapshot will provide the outlines of the various interpretations of contemporary art that are inherent in each collection, while also illustrating the diversity of their orientations: whether it be an interest in Hungarian or international art or a preference for certain genres and mediums, not to mention the value judgements applied to the works of individual artists. When surveying works that were made available to us, we strove to organize an exhibition of contemporary art that would simultaneously reflect the character and inherent connections of some of the collections, selecting in some cases uniquely characteristic pieces with which to demonstrate parallels and divergences, but also providing as comprehensive and informative a picture of contemporary art as possible, including from the perspective of genres. For this reason the works are not displayed according to the individual collections, but rather are organized according to a logic suggested by the works themselves. This exhibition, which consists of works found in 38 Hungarian private collections (though with no pretension of comprehensiveness), may be a point of departure for future exhibitions that wish to focus on certain specific issues or subjects. And, last but not least, the current exhibition may kindle interest in contemporary art and the establishment of new collections. István STEFFANITS, Sándor MURÁNYI, Ferenc ELN, Ernő SZÁZ, Anna VERES, János VÍGH, Cecília GÁSPÁR. Special thanks to Katalin SPENGLER.